If you are looking for a well-kept and professional looking lawn, but just don’t have the time to continually cut the grass each week, then a Robotic mower is for you. It’ll cut your lawn the way you want, when you want, and you’ll never have to lift a finger. Our mowers are happy to work in the rain, and quiet enough to work through the night. It’ll leave you with a beautifully cut lawn and no messy grass clippings. It will even recharge itself and get on with the job, while you get on with all the things you’d rather be doing. 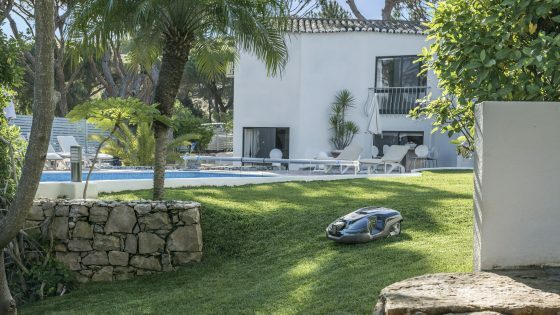 Plus – download Automower Connect App and mow your lawn from your phone! 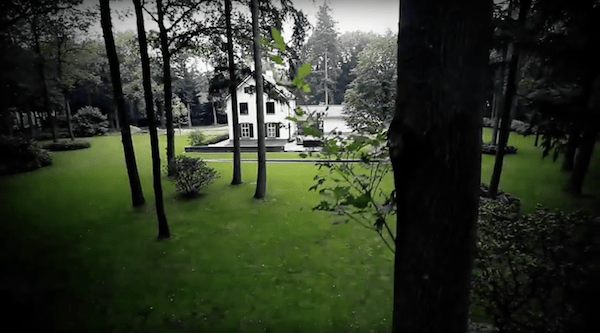 Our Robotic mowers can handle lawns between 300 m – 6000 m², depending on model and complexity of your garden. This is usually ample to cover the area of most gardens however if your garden is larger than this we can install two or more machines side by side. If you have a small garden then we will help you select a suitable model for your lawn. If your garden is quite complex, the robotic mower will be able to be programmed to cut around shaped borders, trees and ponds. It can cut grass down narrow passages as small as 60 cm width as well as sloping garden too. If you have a lot of moss in your garden, the continuous mowing has a very positive influence on grass growth leading to the gradual disappearance of moss from the lawn. Robotic mowers obediently follow the layout of your garden, intelligently avoiding obstacles such as trees, sculptures and ponds. It can be programmed to work in zones at times to suit you, whatever your garden size or style, whether you are at home, in the office or on holiday. Your lawn will always remain well maintained. Low noise means it is quiet enough to operate at night and advanced sensors guide it effortlessly around obstacles, making it safe around children and pets too. Some models are even equipped with a theft alarm, GPS tracker and PIN code for security. 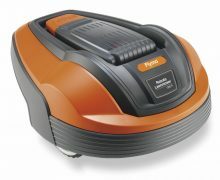 It has capabilities of handling slopes of up to 40 degrees and there are no messy grass clippings. The machine’s robust and weatherproof exterior means it will work through the rain, giving you the perfect finish all season long. A professional Automower is the perfect solution for a wide number of needs and applications. Landscapers, municipalities, schools and sports clubs to name a few will benefit from everything from the perfect results to the chance to save on both time and cost. And no matter what line of work you’re in, the added benefit of the noise-less operation and the green footprint will add considerable value to your business. While the automatic mowers tirelessly spend their days producing a carpet-like lawn quality, you can spend your days doing other things. And since our professional robotic mowers are all prepared for Fleet Services, you can monitor and manage them from anywhere on your smart devices. Installation can take anywhere between a few hours to a day for larger-sized garden and one our team will come fully equipped with everything necessary to install your new machine. Winter Maintenance includes full service, diagnostics, battery tests, software updates and blade replacement. Robotic Mower Installation in London, Kent, Sussex and Surrey across the southeast. 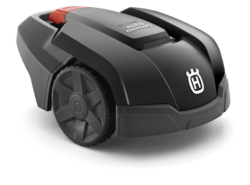 Which Robotic Mower should I choose? There are many robotic mowers to available so which one to pick? Thats where we come in. After spending some time with you to understand your garden and requirements we will recommend which robotic mower would be most suitable, taking into consideration your budget and involvement level. Husqvarna Automowers are packed with features to help you take your garden to the next level. With the largest range of robotic mowers on the market and some of the most advanced, Husqvarna have been market leaders for over 20 years. 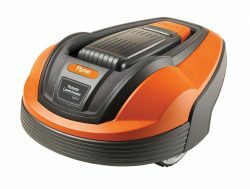 The 450X is the most notable, with a capacity of up to 5000 m2 and a very powerful battery offering 270 minutes of mowing on just 1 hour of charging. 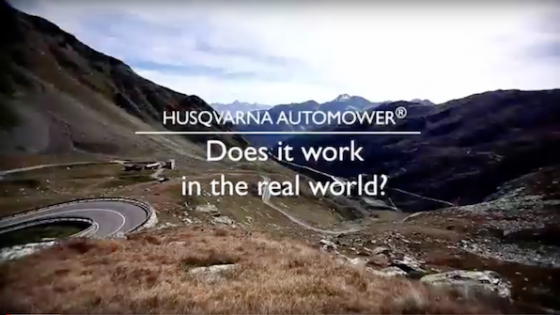 Husqvarna’s ‘Automower Connect’ App is unrivalled in terms of functionality and can be controlled anywhere in the world! Recently the X-series which comprises both app connectivity and GPS-mapping is now available to smaller models, offering all the bells and whistles of the market leading 450X at a fraction of the price. The King of robotic mowers! 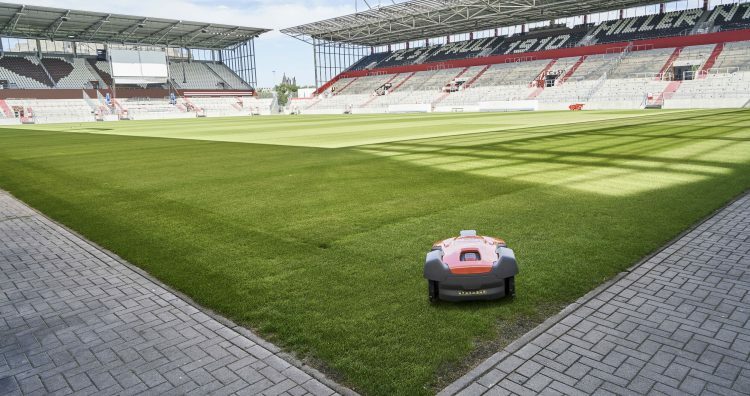 With smartphone compatibility and a maximum mowing area of 4000 m², the Miimo is a close rival to Husqvarna in terms of ability and quality of finish. The latest model – the Miimo 3000 offers both perimeter cutting and is even resistant to a hosepipe, making cleaning extremely easy indeed! Its sleek contemporary design makes it very popular amongst our younger customers, who also happen to own Honda cars funnily enough! 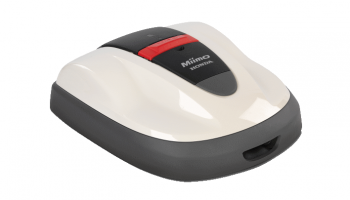 The Miimo 3000 also features Honda’s unique smooth turn technology, so it can turn away from the boundary wires without stopping, for optimal cutting efficiency. It’s a leader in intelligent sensors, able to react quickly to avoid holes or uneven ground, maximising uptime and making one of the most reliable robotic mowers around! 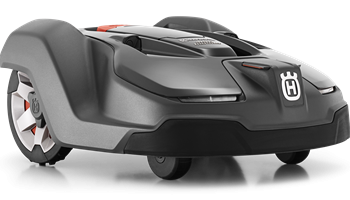 With over two decades of experience in the robotic mower industry under its hood, today’s Robomow mowers are strong, fast and sleek looking. The RS series mows up to 3600 m² with a twin blade cutting desk. Robomow is probably best known for its very capable perimeter cutting mode which enables it to get really close to the lawn edges. 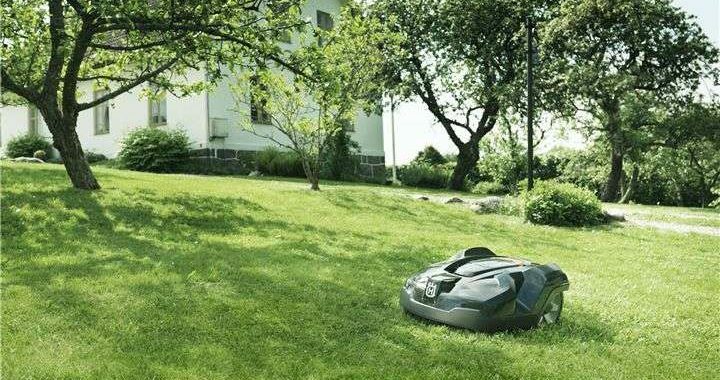 Robomow have released the lowest priced robotic mower on the market – the RX series which makes owning a robot mower more affordable! Suited to lawns unto 300 m² it takes just an hour to install. 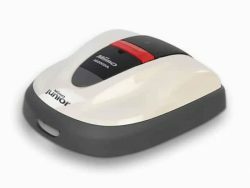 Robomow is fun and friendly and offers app connectivity to pair to any smartphone. 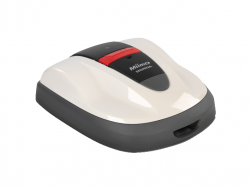 An all-round popular robotic lawnmower, available to all homeowners on all budgets! The Flymo 1200R mows a lawn area up to a maximum of 400 m² – effectively and reliably. 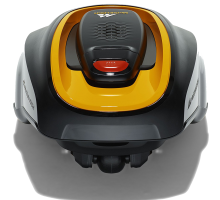 Built on Husqvarna technology, it is an entry level product in the market place and is a very solid robotic mower for it’s price. Like all robotic mowers, different mowing times or days can be set on the large selection panel with display. 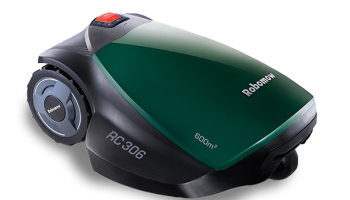 The McCulloch robotic mower is very similar to the Flymo 1200R, covering a slightly larger area of 600 m². 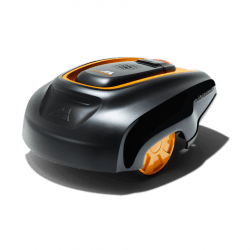 ROB has all the basic functionality including daily programming, auto charging and will cut grass slopes with an inclination of up to 25%, Its black and orange colour combination makes it look very smart! 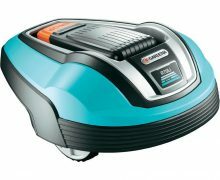 The Gardena Silent + is capable of mowing up to 1300 m² and is comparable to to the Flymo and McCulloch models as an entry level robotic mower. There are 5 models in the range which makes the Gardena Robotic mowers very affordable and available to the mass market! 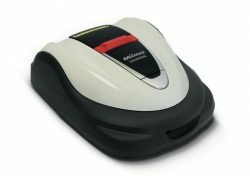 Click here for frequently answered questions on Robotic Mowers – such as Where to Buy? How to Install? And how to get service, parts and maintenance?